If your Vtiger CRM is slow, you have a big database with thousands of records, or you have added more than a few custom modules to your CRM, then there is a good chance you have one or two improvement opportunities in you Vtiger MySQL Database server. In this quick tutorial, I will show you three quick wins you could implement right now to improve your vtiger MySQL database performance. Your user will love the improvement. If you are taking just one thing from this tutorial, this should be it. Just changing your hosting to one that uses SSD Disk instead of hard optical drivers will be a huge performance increase. There are several studies online that show that switching to SSD disks will improve your MySQL performance between 5x and 30x. 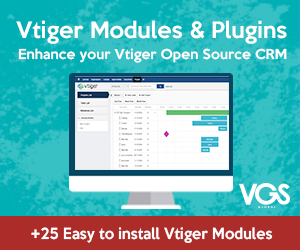 Considering that each time you View, Search, Edit a record in vtiger you hit the database server, and this improvement will go directly to your users. The MySQL slow query log is a file where the SQL servers register slow or potentially problematic queries. This logging functionality is turned off by default. The queries that are logged are queries that take longer than a specified amount of time to execute or queries that do not correctly hit indexes. Type the MySQL root password. Continue to monitor the slow query log file to see which queries take a long time to run. You should only enable the slow query log for as long as it is necessary to troubleshoot performance issues. EXPLAIN describes how a SELECT will be processed including information about JOINS. EXPLAIN EXTENDED provides additional information and estimates the number of table rows that are filtered by the condition. My recommendation is to use EXPLAIN to add any missing index you have identified using the step 2 of this tutorial. Following this exact step, we manage to reduce one client query from 90 seconds to just 2.5 seconds!